It’s that most wonderful time of the year. No, not Christmas: the kids have finally gone back to school after the long summer holiday. And the joy is not confined to parents. Drivers can get to work more easily as the roads aren’t clogged with moms hauling their kids to playdates, trampolining, or deserted back roads where they can abandon their offspring. 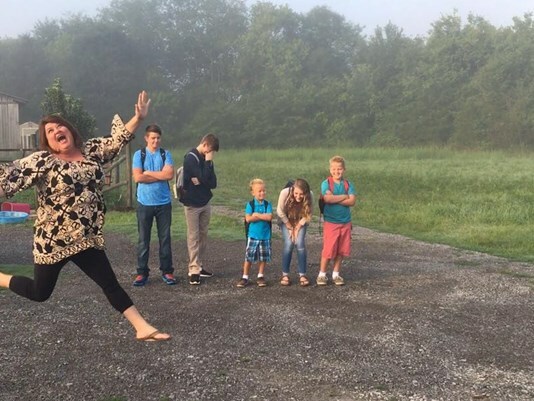 Only teachers heave a deep sigh as the end of August approaches – unless they’re also parents, in which case they can at least look forward to different children whining at them all day long. Kids in books spend the summer having adventures and catching criminals, but all mine want to do is sprawl on the sofa watching cartoons. The fact that this is how I spent my holidays at their age in no way justifies their unacceptable loafing. “Get outside and play!” I bellow. But after half an hour of mystifying and irritating our neighbours by playing cricket in the compound, they’re back, red-faced and sweaty, demanding cold drinks and arguing about who won. In the UK the summer holidays are under constant attack from politicians, who see state schools as existing to provide childcare and train the future workforce in enduring tedium, while private education prepares their own children for leadership. They complain that the long break was originally intended to allow children to help bring in the harvest, and has no place in modern society. But they’re wrong. The great value of the long break is that by the end of it, the kids are so bored that even they are looking forward to the start of school.